The role of a Toastmaster or MC takes many guises, but the one thing they have in common is that they should make the event memorable – for all the right reasons! I essentially ensure the smooth running of your day, from the planning stage and discussing your personal requirements and throughout the day itself, allowing you, your friends and family to enjoy your special day. Arrive at the reception venue at least one hour prior to the arrival of the Bride and Groom. Liaise with the Banqueting Manager and team and to ensure all is set up and ready. 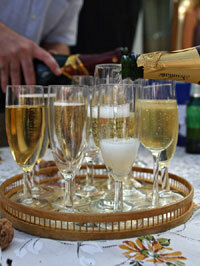 Greet the Bride and Groom on arrival with the traditional glasses of champagne. Greet friends and family and guiding them to arrival drinks reception area. 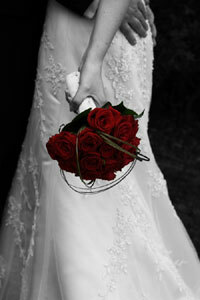 Liaise with and supervise photography, video services etc..
Organise the receiving line and announce guests. Announce the entrance of the Bride and Groom. Announce or say Grace (if required). Make special announcements, such as smoking restrictions, signing of the guest book etc.. Announce and co-ordinate the ‘cutting of the cake’. Announce details of evening entertainment. Announce the Bride and Groom’s first dance. I pride myself on being unique and professional with a ‘down to earth’ approach, ensuring that your special day will be a ‘day to remember’. A Toastmaster or MC at any event is often invaluable as opposed to being preferable. With my unobtrusive presence and effortless attention to detail, the hosts have the opportunity to relax and enjoy the event they have organised. Having been involved with various events such as Masonic Lodge Dinner Dances, Gala Balls, Charity Events & Fashion Shows. I have the experience and expertise to announce speeches and toasts, organise and co-ordinate raffles, auctions & award ceremonies.